Boulder Pharmacy Museum houses an extensive pharmaceutical collection in an old pharmacy that has been operating for over 100 years. Peruse the fascinating displays including antique surgical implements, razors, cameras and film developing kits. It is remarkable to see how the medical products have progressed over the years and observe the changes from the original galenical bottles to the current day bottles. Read about the pharmacy's interesting history and be entertained by the amusing tale of its founder. 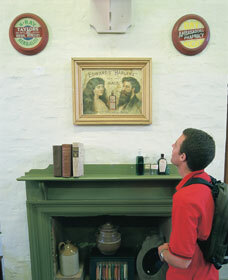 Examine the original shop fittings that were moved from the old premises in Piesse Street and remain intact today. The town of Boulder is a seven hour drive east of Perth and next to Kalgoorlie. There are a number of fascinating attractions within the mining town, including the Goldfields War Museum, where you will gain an insightful look at the involvement that the Boulder and Kalgoorlie residents had in the Boar War, the World Wars and the Vietnam War.